TVH Group is a global supplier with customers in over 170 countries and has been divided into 2 business units: TVH Parts and TVH Equipment. 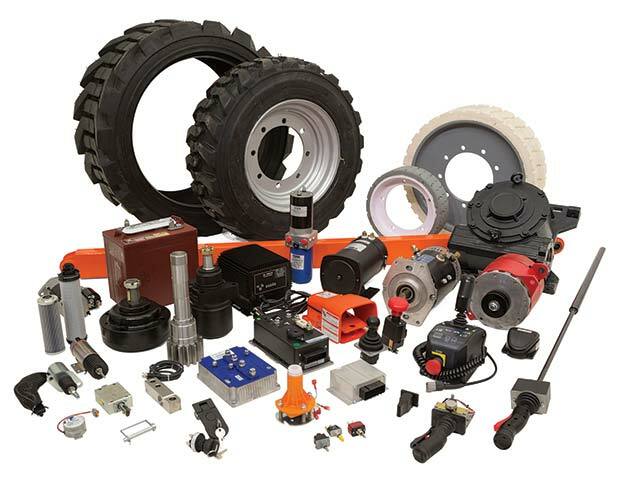 TVH Parts offers parts and accessories for material handling, industrial and agricultural equipment all over the world. TVH Equipment consists of 4 activities: Sales, Rental, Service and Trade. The Sales Division sells both new and second-hand lift trucks and aerial work platforms nationally. With its short- and long-term rental of lift trucks and aerial work platforms, the Rental Division is active in Belgium, the Netherlands, Luxemburg… The Service Division is only active in Belgium. The Trade Division purchases and sells second-hand machines such as lift trucks and aerial work platforms. TVH Group is continually expanding into different areas and investing in quality and people to be able to offer a service that meets our customers’ requirements. Online search tools, brochures, catalogues, information on our YouTube channel and website give our customers total access in obtaining information 24/7 and make TVH a real one-stop shop. With over 70,000 stock items and over 900,000 known references, TVH offers a wide range of replacement parts for aerial work platforms, together with a wide range of products and accessories for all known brands. Our internal TVH sales team is available to assist you on the phone during office hours. You get fast answers on offers, orders and technical questions, from our dedicated sales and technical departments. Our external area sales managers are more than happy to visit customers and are able to offer the service and assistance required. Even out of office hours and at the weekend, you can check prices, availability and technical info on our webshop MyTotalSource. A very useful module in MyTotalSource is MyProductSearch. By inputting technical detail such as dimensions, brand etc a reference number can easily be looked up for a lot of different parts via MyProductSearch. Full technical details and photographs enable our customers to double check if the correct reference was found. Not only does TVH offer an extensive selection of fast moving parts and accessories, we can also offer you full service, including a specialised electronics department and an extensive service exchange programme. TVH is exclusive distributor of MOS90-products and a member of the IPAF federation, Global partner of SME Worldwide Service Center, Global after-market Sales Partner & authorised Service & Repair centre for Sevcon, Distributor of PG Drives Technology and Authorised Repair Centre, covering Europe for Curtis. Our ‘Parts & accessories catalogue for telehandlers, roughterrain trucks, mini-excavators and skid steer loaders’ together with our brand catalogues showing parts suitable for JLG, Genie and Haulotte together with many product specials give our customers the necessary information to identify any parts required. We look forward to welcoming you to Vertikal Days at Haydock Park in Merseyside on 15th and 16th June. You will find us on stand 405 where we will introduce to you a Special Selection of parts for aerial work platforms and to the many services we offer. Come and see us and enter our business card raffle. TVH, the passion, the people, the parts.